A question for all my fellow beauty lovers, do you prefer auto-twist eyeliners or pencil liners that needs a sharpener? Personally, I prefer auto-twist eyeliners. They are just easier to use in my opinion and less of a hassle. In my review on Peripera's Smoothie pencil liner, I talked about why I don't particularly like eyeliners that needs to be sharpened with a sharpener, so I won't go into details here. 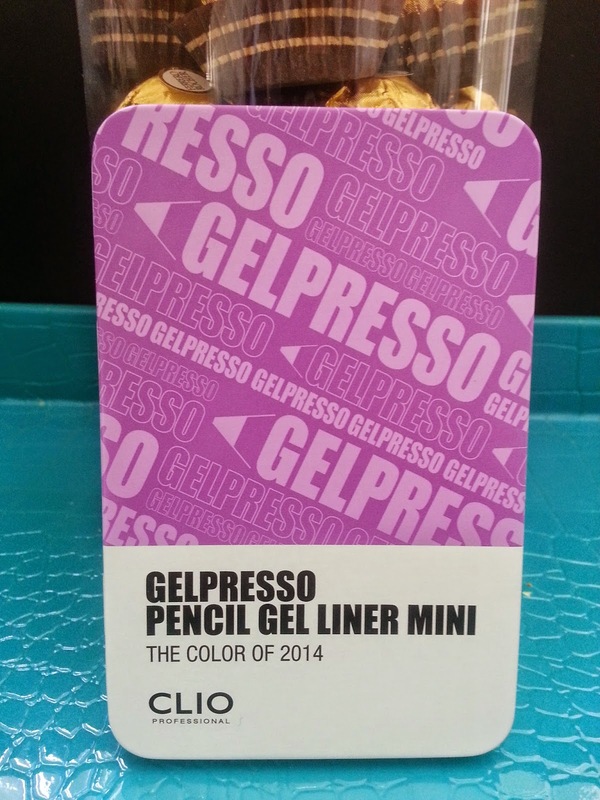 Anyways, today I am reviewing the Clio Gelpresso Pencil Gel Liner Mini set. I got this set in the Get K-Beauty box ($40) I bought back in September. And guess what?! These eyeliners are the auto-twisty kinds, yay! The "IT" color of 2014 is orchid and that's what this set features. Five beautiful orchid colors that's perfect all year round. The colors are #12 Shine Lavender, #13 Frozen Lavender, #14 2014 Orchid, #15 Bloody Purple, and #16 Blackish Orchid. (Swatch at the end.) These mini eyeliners have gel textures that slides on easily and are contained in retractable auto-pencil forms (my favorite). The eyeliners glides on smoothly and are very pigmented which provides a defined eye line. It's unique formula allows the eyeliner to stay all day without smudging. This is my current favorite eyeliner set. It comes with 5 versatile orchid colors that can be used in many ways to create the perfect eye look. It glides on gently and smoothly. It's waterproof and although it's almost perfectly smudge proof, it's not 100% smudge proof. I did the smudge proof test and this Gelpresso set received a 97 out of 100. 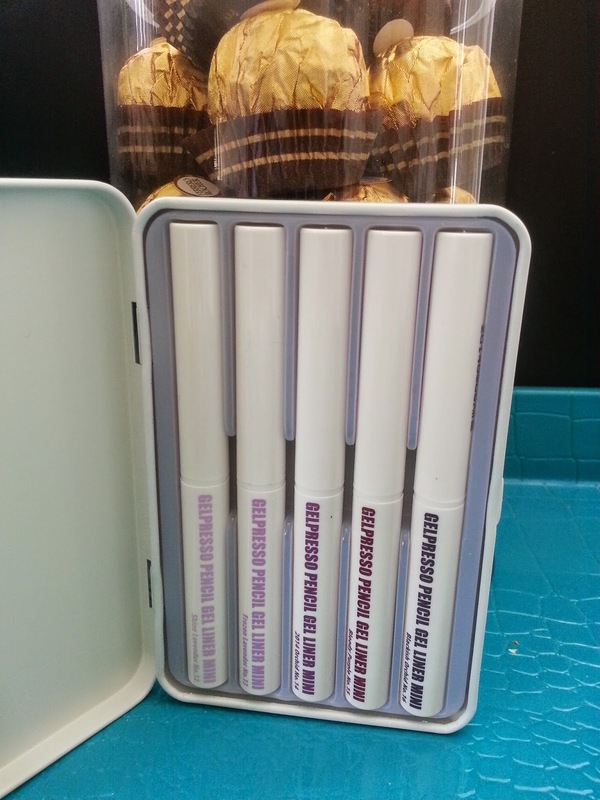 Which makes this eyeliner set the highest smudge proof ranking in all my eyeliners. The smudge proof test consisted of multiple 12 hours test on my eyes and also a test on the back of my hand. I was very happy with this result as I've been searching for the perfect combo of waterproof+smudge proof+sebum proof eyeliners. Although this set is just a slight bit below perfect, so far it's the best I've found. With a good eye primer, the eyeliner will last on my eyes without smudging for 11 hours. Out of my multiple tests, only twice have the eyeliner lasted for 12 hours without one bit of smudging. So, I find that if I am out for less than 11 hours, the eyeliner is golden. If I am out for more than 12 hours, I should bring the eyeliner along, just in case, for minor touch ups. This eyeliner set received 5 heart because it's honestly the best I've used. The colors are perfect and complements me nicely. It's easy to use and comes in a retractable casing so I don't have to worry about sharpening it. It's smooth and glides on easily. Plus, it's the most waterproof+smudge proof+sebum proof eyeliners I've ever come across. Out of the 5 colors, my two favorites are #12 Shine Lavender (1st left, swatch below) and #16 Blackish Orchid (1st right). I use them almost daily for my work makeup. Would I buy Clio Gelpresso Pencil Gel Liners in the future? Most definitely. 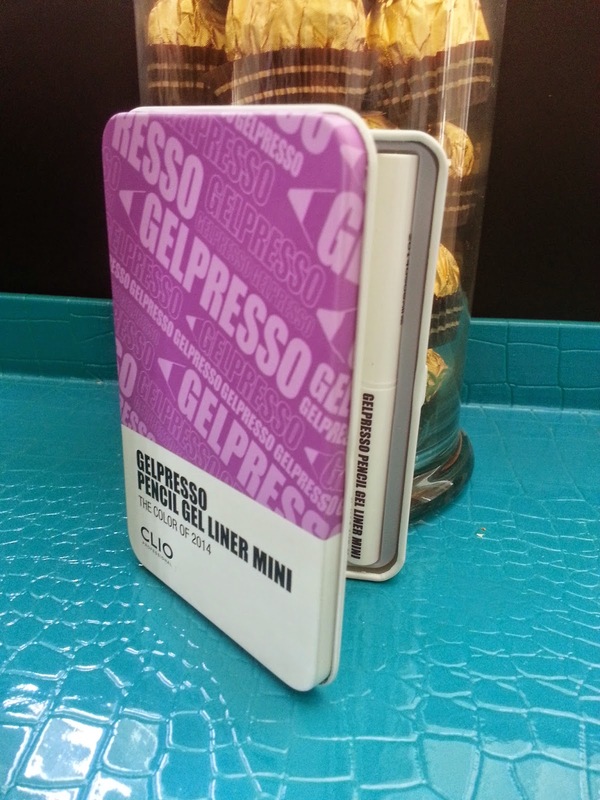 I want to buy and try Gelpresso liners in other colors. I love the formula for this liner and since it's the most waterproof+sebum proof+smudge proof liners I've ever tried for my eyes, I definitely want to stick with it. At least until I find that perfect water+sebum+smudge proof liner! Fingers crossed that I'll eventually find one. But until then, I am happy with these and my Peripera Smoothie liner. Until next time! Dream Big! I've seen them being sold on Ebay. Koreandepart used to sell them but not anymore, so aside from Ebay I'm not sure where else you can get them from. These are adorable. I'm looking for a cheap equivalent of my smudge-proof, water-proof, sebum-proof liners from Shu Uemura. I'll have to take a look around for these Clio cuties. Hmm, I think I will look into the Shu Uemura ones you mentioned. Would make a wonderful Christmas present to myself lol, plus I'd love to see how they compare. Always up for an experiement! I think I've seem them being sold on Ebay, although I don't remember how much they were. 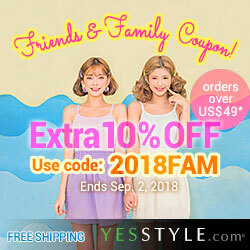 The set seems to be a seasonal product, since Koreandepart used to sell them but now when I tried to go back to the page it says "item discontinued". I use #16 Blackish Orchid the same way I do with a black or brown eyeliner. The color is mostly black with just a hint of orchid so it works great for an everyday look. I use #12 Shine Lavender on the inner corners of my eyes like a highlighter, it looks gorgeous. 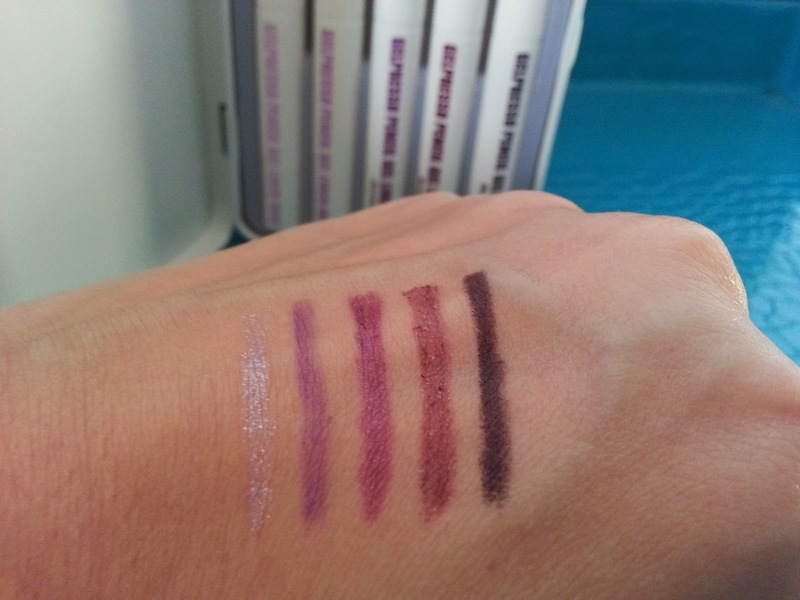 As for #13 Frozen Lavender, #14 2014 Orchid, and #15 Bloody Purple, I use them for my dual liner look. That means I'll apply my black liner first than add 1 of those 3 just on top of the black eyeliner. It's a nice way to wear color on your eyes without going overboard. I hope this helps!